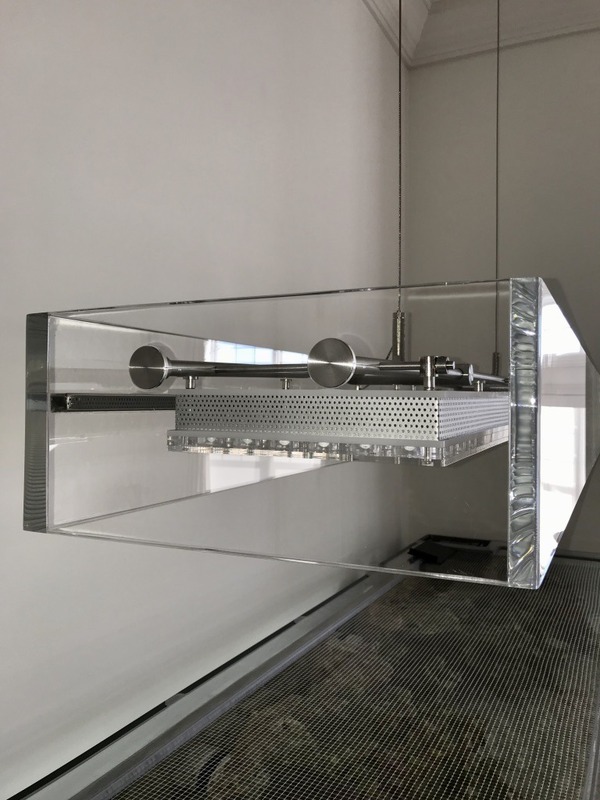 Orphek has a long partnership with Sam Slobusky from Wetwork, a company based in New Orleans that among other services, provides custom design and complete installation services worldwide. Our partnership has endured all these years due to a common professional standard of quality of the services rendered and the passion for marine creatures. Sam is a long time traveller, diver, reefer and aquarium designer with sharp eyes to details and high-end finishing. 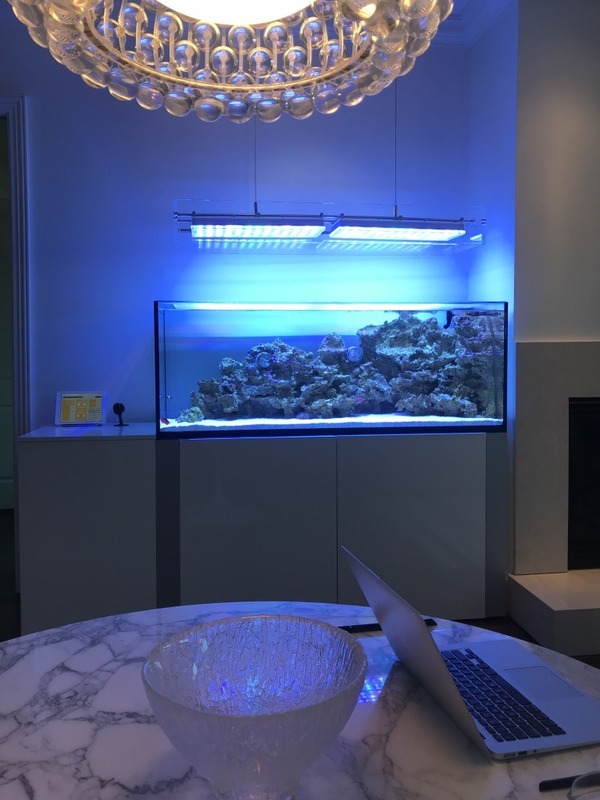 Since Orphek is considered a company that is always ahead with groundbreaking technologies and has gained global respect and recognition as a leader in Aquarium lighting technology and innovation for reef aquariums lights, the result of this partnership is simply beautiful! We chose one of the latest reef projects that Sam has finish – the Reef 145. 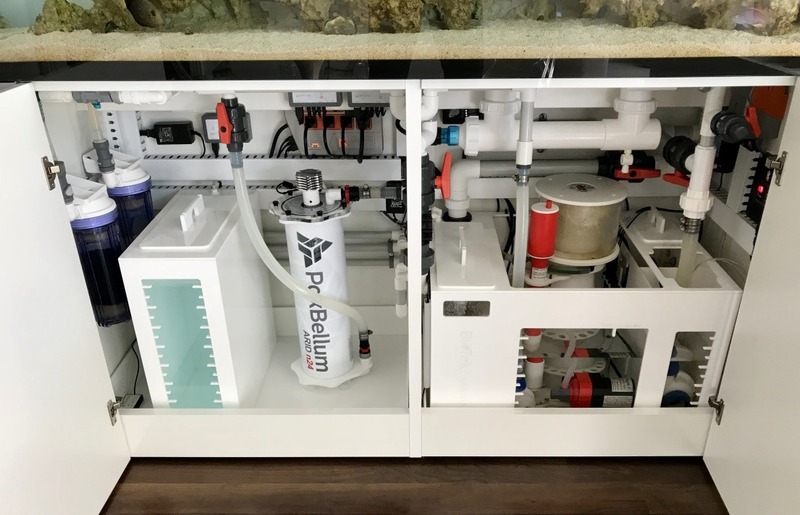 For Reef 145 2 units of our Atlantik V4 were place inside a crafted transparent, thick, perfectly joint & polished and acrylic, resulting in a state of the art structure. 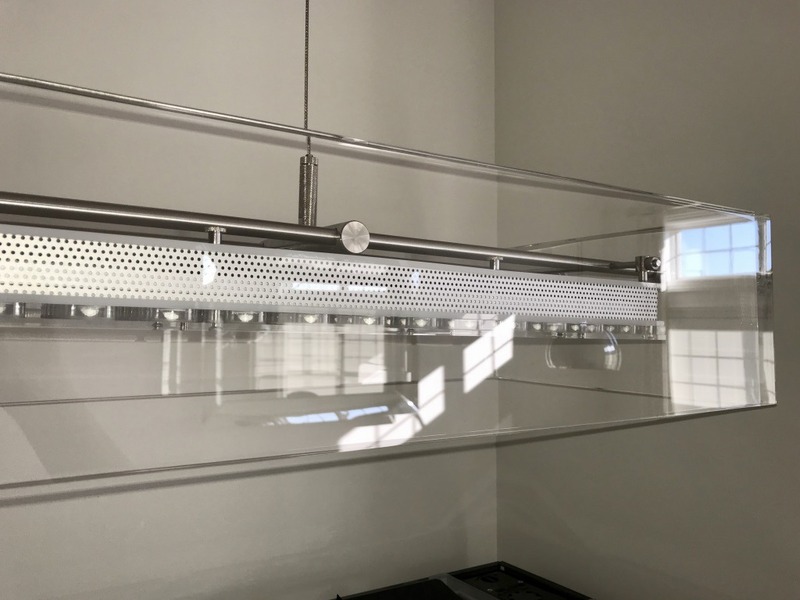 We were very happy to see that our lights were framed by a transparent structure so your lights can be seen, contrary to build in projects and cabinets. 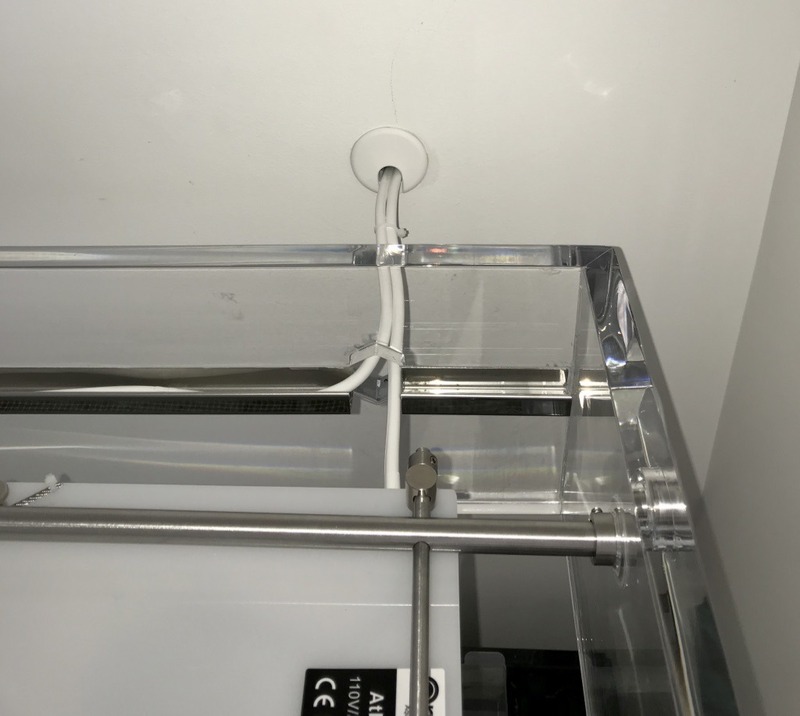 Also because Orphek is the only LED light solution that is made of full body acrylic and we think it should be enhanced by mounting structures and Sam gets us! 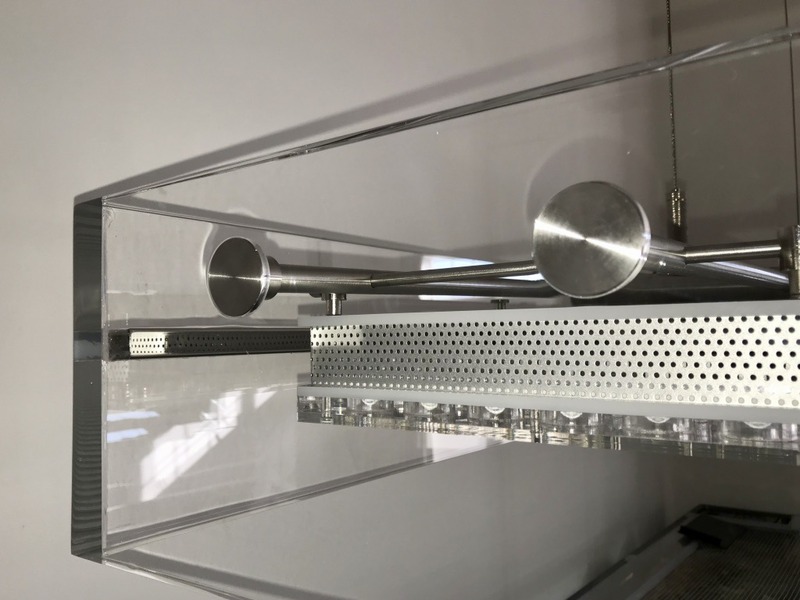 The customised hanging mechanism is a thick metal structure is perfectly build giving a very clean and hip layout to the entire structure and it also combines very well with Orphek’s silver stainless steel grill. 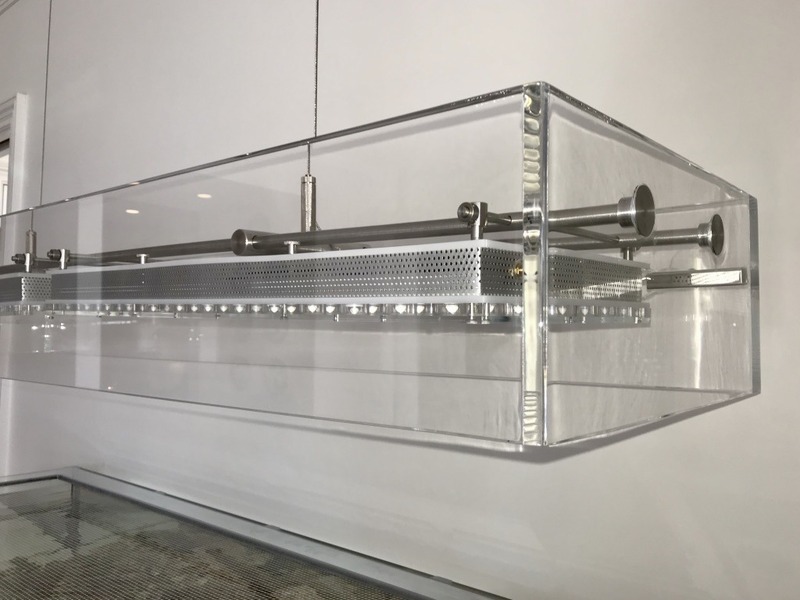 The result is a beautiful neat clean mounting solution, that when combined with the client’s aquarium, results into ultimate transparency and high-end sophisticated layout. It is indeed Sam’s signature! Under the aqurium Sam placed all the equipment inside a well dived 2 doors cabinet. 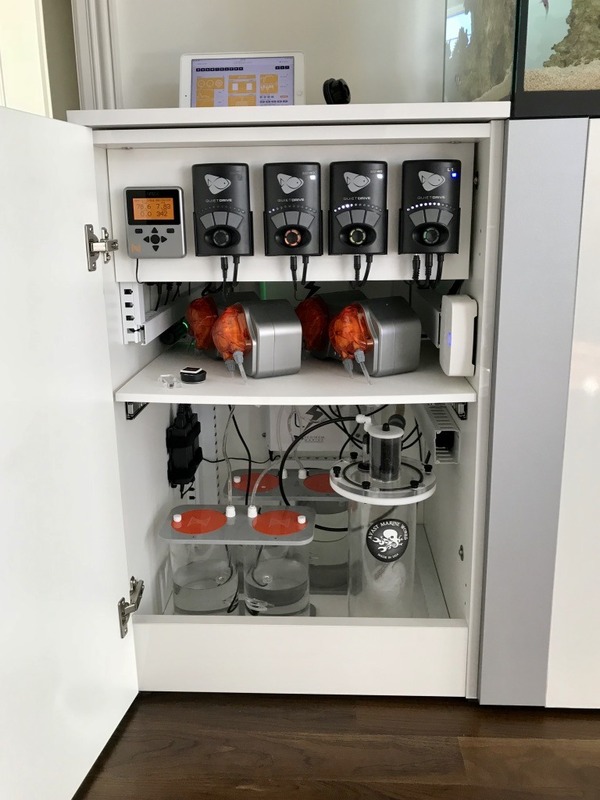 Perfectly organized in a way that is very easy to clean and operate! We would like this opportunity to thank Sam Slobusky for his trust on our products and the love he has for corals and the hobby. Thank you so much for sharing this project with us here!